In this blog about Dog Training Basics, I want you to prepare your home for your new dog. In the back of my first children’s book, Shea’s Lounge, I include tips for dog owners bringing a dog into their home. Click HERE to go to Shea’s Lounge Page. 1. Give your dog a place of his own. It can be a dog bed or a selected piece of your furniture to designate for your new best friend. Cover with a washable fabric. 2. Dog training basics involves where your dog will sleep. Will it be in your own bed, or in a crate or in a dog bed next to your own bed? Is your dog going to be living indoors only, or outdoors only or both? You must clearly establish this area, then prepare accordingly. Spend time showing your dog where the bathroom area is, then making sure they can get to it when they need to go. If you want your pet to go to the bathroom outdoors, then which door will it take to the outside? If your pet goes indoors, then prepare all necessary pads and give your dog all access to that area and encourage them to use it at any time. These areas need to be constantly kept clean and sanitary. 3. Beware of curtains and blinds that have cords that can get entangled around your curious dog. 4. Think carefully about electric wires and multiple outlets behind TV’s etc. where dogs may explore, or worse, bite or chew on. 5. Teaching dog training basics includes teaching owners about household chemicals, cleaners, poisons etc. These dangerous items need to be above dogs reach or locked in closets or sheds etc. 6. Long Toenails may tear up Leather or fabric couches unless you maintain their length with walks or grooming. 7. Be careful giving your dog things to chew on that are similar to the things you do not wish them to chew on. Think about an old sock or shoe or anything that has your scent on it. Your pet won’t know the difference when they’re ready to find something else of your’s to chew on. 8. When using rugs in dog areas, make sure they are washable and non slip. 9. Think about the height your dog may be able to reach items of their interest on coffee tables etc. Consider dog training basics for your entire home. Breakables and Food Items need extra scrutiny. Think “Baby Proofing” your home and you’ll be close. 10. Any items on the floor will be deemed fair access by your dog unless you can either: A. Change or preempt their behavior yourself or with a professional dog trainer; B. You remove any and all things you do not wish to be chewed on; C. You actively redirect your dog’s interest in those certain items to the things they can have that you approve of for them. 11. Nice wood floors and the like may be subjected to scratches. You may need to be able to keep certain areas of your home off limits to your dog, and do it without barricading or fencing it off if possible. 12. It is very important to keep your dog bedding, water and food areas clean. Don’t allow areas where water and dirt may rapidly accumulate. 13. Use only specialized enzymatic urine removing cleaners to remove pet messes from rugs and carpets. Dogs will not stop dogs from reusing those areas until you totally remove all the fluids and smells from these areas. 14. Your home will have less pet hair and dander floating about when your dog is continually groomed and bathed. 15. Plan on purchasing a dog poop scooper and commit to a weekly pick up of your dog’s waste in the yard. Enhance your backyard experience by removing all the fly’s in and around the excrement. 16. Plan on purchasing or designating the: Dog Food, Food and Water Bowls, Chew Toys, Treats, Grooming Supplies, Bedding, Collar and Leash, Carrier, Distemper Shots, ID tags, Veterinarian, Emergency Vet, Location of Dog parks, and local Dog Trainers. 17. Decide whether or not your dog will be allowed on your furniture. Will your dog allowed only in certain rooms? Who feeds, waters, House trains, takes for walks, trains, and picks up after your dog? 18. Do you have other pets your dog will be interacting with? Are they either a predator or maybe other prey to another family dog? Are you willing to take the time to help them properly interact with other family members? 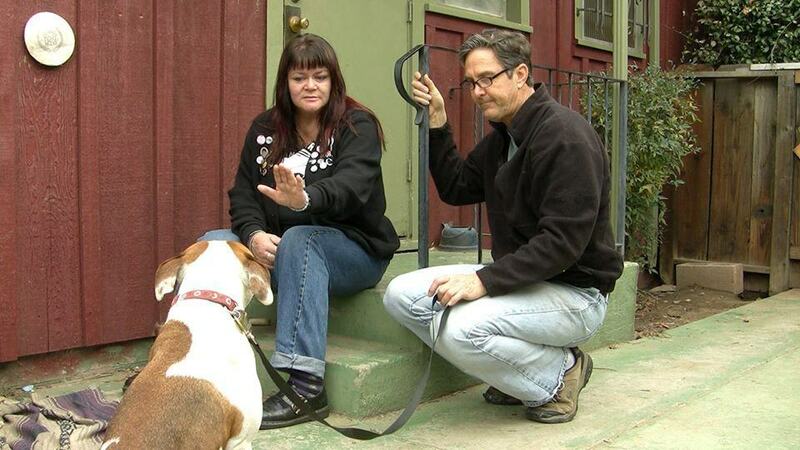 When considering dog training basics, don’t allow your dog to make it’s own decisions on how to act with other pets. 19. Find time in your schedule to pay quality attention to your new family member. Build a strong trust bond between you and your dog(s). Play catch or chase or any game the dog may like to play outdoors. Engage in your dogs welfare and happiness like you would your own child. However, please don’t raise them as if they are your child, they are an animal. Please consider professional advise to implement any or all of the above suggestions . Do not expect to attempt dog ownership without taking professional advise on some or many of these suggestions. Don’t be embarrassed to ask for professional help because every home situation is different. There are plenty of resources and dog training basics online. Most shelter’s have volunteers or staff that can be very helpful in answering your questions.